A TxDOT rendering of a sunk and capped I-35 in downtown Austin. 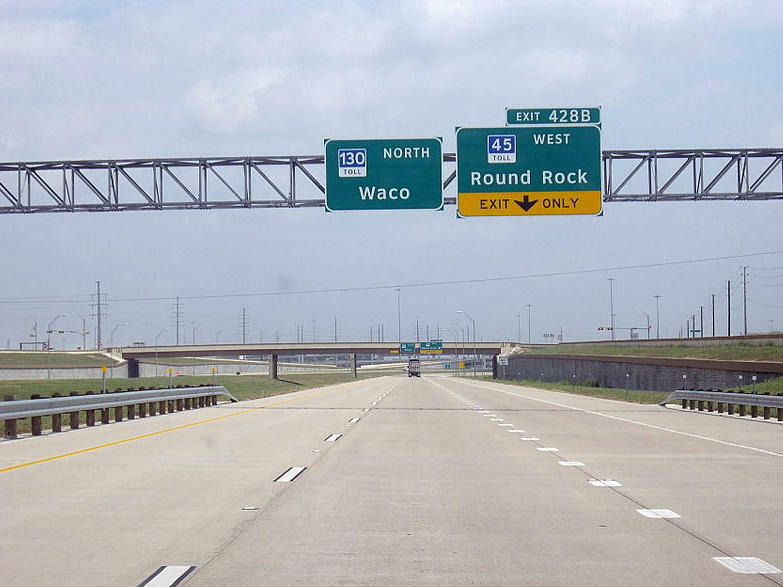 TxDOT is currently focused on less ambitious I-35 fixes, like improving ramps. So what changes are under consideration? There's talk about adding lanes (possibly toll lanes) in each direction on I-35. There's also plans to change traffic patterns, and address I-35's existing ramps. Some ramps are too short, forcing drivers to speed up aggressively to merge onto the highway, and decelerate unnaturally to get on the access roads. "We don't design ramps the way we did 50 years ago," says TxDOT consultant Steve Miller, adding fewer and longer ramps are a safer option. But what about bigger, more drastic changes? The biggest such plan is the Cut and Cap proposal that would sink I-35 through downtown and create a series of parks over the freeway. 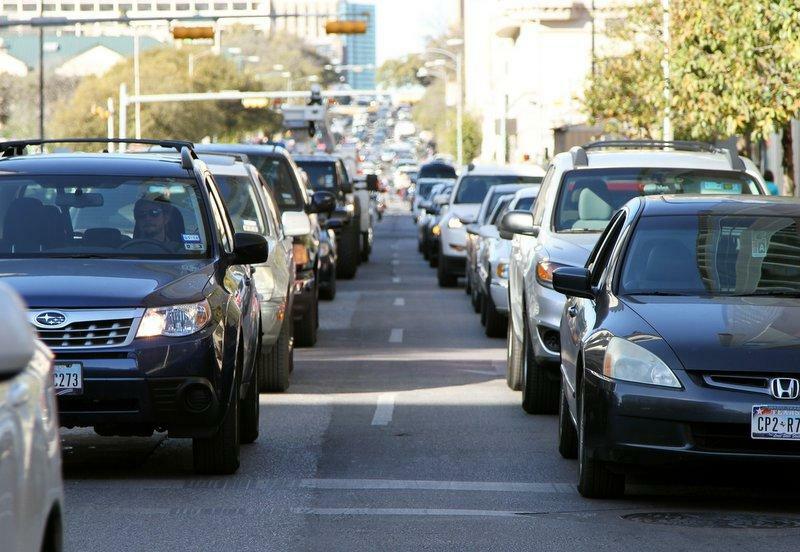 For now, TxDOT says plans to bury I-35 are for the more distant future. While it isn't ruling those plans out, there's no timeline to begin work. 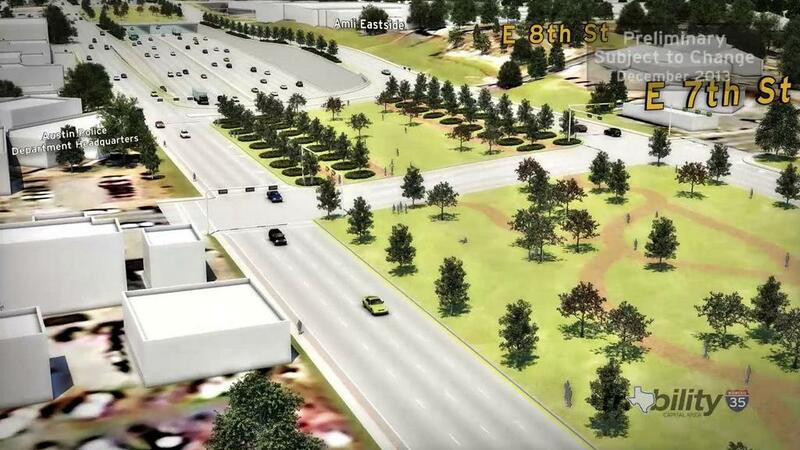 Still, TxDOT revealed several graphics of what a sunken, capped I-35 would look like. Visit the KUT Tumblr to see a video rendering.